Купить steam ключ Galactic Civilizations I. Galactic Civilizations I: Ultimate Edition STEAM GLOBAL 29 р. Galactic Civilizations I: Ultimate Edition (Key/ROW) 40 р. Galactic Civilizations I: Ultimate Edition (Steam/ROW) 45 р. Galactic Civilizations I: Ultimate Edition (Steam Key) 50 р. Galactic Civilizations I: Ultimate Edition (ROW) steam 58 р. Galactic Civilizations I: Ultimate Ed - Steam Worldwide 65 р. Galactic Civilizations I Ultimate (Region Free / Steam) 99 р. 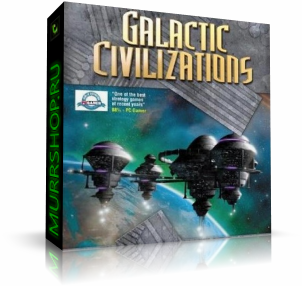 Galactic Civilizations Complete Pack (I + II) STEAM 179 р. Galactic Civilizations® I: Ultimate Edition (Steam Gift | RU) 212 р.